When you stay with us at the Two Bridges Hotel, the whole of Dartmoor National Park is yours to explore, enjoy and savour. 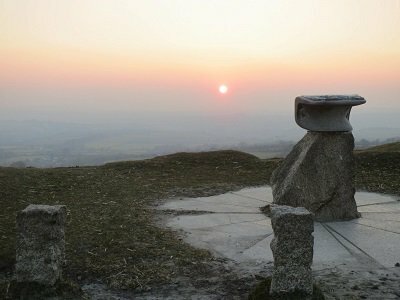 You’ll find 368 square miles of Dartmoor to enjoy, including the highest land in England. Breathtaking views, spectacular granite tors, fast-flowing rivers and vast areas of dense woodland. Dartmoor is paradise for walkers, and for anyone who loves the outdoors and nature’s beauty. Stretch your legs with a long moorland hike, or an easy way-marked stroll, or simply enjoy the pleasure of driving through some of the finest scenery you’ll find anywhere in Britain. Take time to stop in one or two of the pretty moorland towns and villages. Widecombe, Postbridge and Chagford are particular highlights. 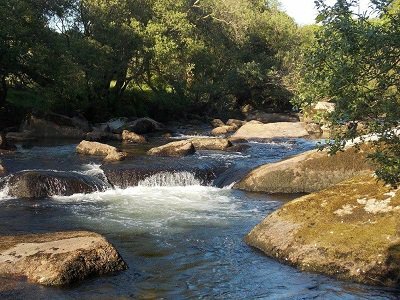 On a warm Summer’s day, there’s nothing more delightful than to paddle in the West Dart River at Hexworthy Bridge, and to enjoy a picnic on the riverbank (we can supply you with a picnic lunch before you set out from The Bedford Hotel). 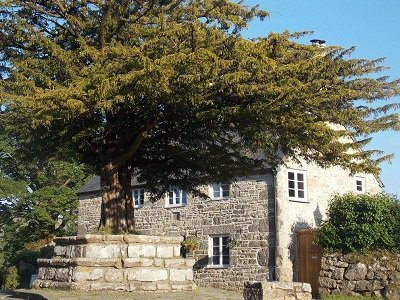 If you’re new to Dartmoor, a great place to start is the Dartmoor National Park Visitor Centre in Princetown (5 minutes from the Two Bridges Hotel). There’s a well-thought-out exhibition which gives a great introduction to the heritage and natural environment of Dartmoor, and the knowledgeable National Park staff will help you plan your day. You’ll also find a great range of Dartmoor maps and guidebooks on sale.